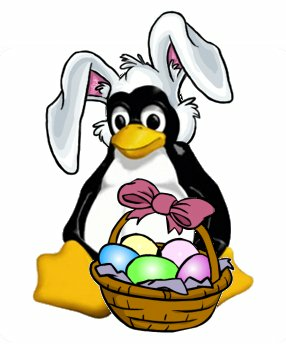 Linux FUD | Tackling (F)ear (U)ncertainty & (D)oubt about Linux… with Ubuntu! Tackling (F)ear (U)ncertainty & (D)oubt about Linux… with Ubuntu! While going through some old notes, I was reminded that there once existed a website dedicated to explaining the differences between Unix and Windows NT. It began as a research project by one John Kirch. According to the site, after finding almost no information on the subject for his own purposes, Kirch decided to write a paper that compared the two systems critically. The paper covered various topics such as the costs and licensing, functionality, system reliability, management, performance and security issues, common misconceptions about both operating systems, and others. This paper was the beginning for the awareness site that also includes a lengthy article listing, links to FreeBSD and Linux resources, and a litany of companies and which web servers and operating systems host their sites. The site authors denounced the claim that the UNIX versus NT Organization was “an anti-Microsoft movement”, stating that “this would be a poor description of what we are about.” We share this sentiment — if Windows is the best option for you, then you have the freedom to choose to use it. Obviously, we also believe that Windows is rarely the “best” option, but everyone is entitled to their own opinion, no? Our main concern is that Linux is being given a bad name unfairly and strive to expose when, why and by whom. The Kirch Paper itself is far from being an academic masterpiece. For the most part, it is a collection of quotes from published magazines and journals, press releases and other sources. There does appear to be some original work, but it is difficult to determine where it ends and the quotes begin. Citation is spotty. Perhaps “a compilation of research notes” would be a more accurate title. While not a scientific study, it does provide an empirical view of the Unix-Windows debates based on the literature of the period. Only an archive of the site remains, available via the Wayback Machine. The site was active between January 1999 and July 2001. After that, no archives were made for almost three years; however, archives spanning from March 2004 to January 2008 display a blank page. At the time of this writing, a WHOIS lookup shows that the domain is currently owned by a Maria Markarova of Bishkek, Kyrgyzstan, who reportedly owns approximately 150 other domain names. Warning! Using Linux will expose you to legal action by Microsoft! At least that’s what some would like for you to believe. Many months of news articles have focused on this issue, which is why it is on my Top 10 List of Linux FUD Patterns. Users beware! Nothing instills fear like a lawsuit, and nothing prevents Microsoft from filing one against Linux contributors, distributors and users. The fact is, in the United States, you can file a civil suit against anyone for just about anything. Of course, court cases must have some basis in reality or they will never see a day court and there is also the risk of the plaintiff being counter-sued for bringing a frivolous lawsuit. The legal threat posed by Microsoft is not so open-ended. Barring specific actions such as breach of contract, the legal issue that worries (potential) Linux users the most is patent infringement. This isn’t your run-of-the-mill negligence case either, this is a Federal offense. Patent law is codified in Title 35 of the United States Code. §271(a) begins by setting a broad scope of application for infringement: making, using, offering or selling a patented invention without authority. That pretty much covers all contributing programmers, users and both commercial and non-profit distributors. Of course, there are conditions that nullify the infringement claim. The most obvious and most important is Prior Art, also known as novelty. §100-§105 describe the patentability of inventions and §102 specifies some of the conditions under which a patent is not valid including prior use of an invention by another party. Also, a defendant named in an infringement case may be able to prove that he is actually an “earlier inventor” of a method as described in §273(b), which renders the patent unenforcible against that defendant. Microsoft has claimed that Linux violates approximately 235 patents. The company has reportedly “chosen” to not sue, and the rationale for this choice has been the topic of much speculation. Microsoft has not revealed the details of the violations, including the identifying numbers of the violated patents. Lack of merit in the claim is probably the reason most people believe Microsoft has not filed – in other words, Microsoft is bluffing. Perhaps Microsoft knows that the patents are not enforcible for one reason or another, but it also knows fully that it retains power derived from fear so long as it can make threats that sound credible. If the claim does lack merit, that power would diminish rapidly once a case is brought against the first defendant. Either the patents would be found to be unenforcible (e.g. prior art would be proven), or legal action against one defendant would prompt the Linux community as a whole to adapt quickly. Details of the suit would provide the vital information required to ensure that Linux complies with all patents going forward. Many Linux supporters and advocates disapproved when Novell and XandrOS succumbed to this fear when they signed their now famous “peace treaties” with Microsoft. Besides using fear as a way to dissuade conversion to Linux or to encourage conversion away from it, another possible strategy might be to besiege Linux. By presenting a constant threat and keeping the Linux Community guessing, Microsoft may be trying to drain the time and other resources of the Linux community. Court cost aside, doing patent research and verifying that no rights were violated takes time and can be expensive. Also, Linux developers may spin their wheels fixing problems that might not actually exist, giving Microsoft more time to improve competitive features on its own OS. Even if no action is planned, Microsoft cannot allow itself to gain a reputation for not defending its own patents. I have heard in the past that a failure to defend a patent may be considered abandonment or an implied license, but I cannot find any information in the legal literature to support this claim. Some may be confusing patents with trademarks in this regard – failure to use or defend a trademark against infringement may result in the loss of trademark registration. Nonetheless, it would not behoove Microsoft strategically to allow the abuse of legitimate patents. Here are some good reasons why Linux users should not worry too much about being sued. Cost-Benefit. The decision for a company to file suit is ultimately a business decision, which means that the benefits of any legal action would have to outweigh the costs. Lawsuits are not cheap and the payoff for suing individuals for a few hundred dollars each for lost profits would probably not be worth the trouble. Defendants must be named, which means Microsoft would have to specifically identify Linux users, requiring a lot of paid hours of research. Damage to brand. Suing those who you wish to be your customers is probably a very bad idea. Not only does it alienate those being sued, but it looks very bad in the eyes of other customers. Ultimately, it might cost Microsoft more in lost profits than what it was able to recover through lawsuits. Apple, IBM and Sun on the other hand, may be very happy with this outcome indeed! Prior art. As mentioned above, the use of an invention prior to the grant of patent exempts the defendant. Much of Linux is based on other Unix variants and I’m certain the code looks very similar. DOS appeared on the scene in 1980-1981 and Windows became available for the first time around 1985. The first Unix was written in 1969. Don’t forget that Microsoft did release an x86 Unix variant called Xenix in the 1970s and 1980s, but eventually sold the rights to this OS to the ne’er-do-well SCO Group. Of course, contributors and distributors are much easier targets on all of these points, but if it were just that easy, I’d think we’d have seen some major court action by now. There has been a lot of buzz around the recent post by Brandon LeBlanc, Microsoft employee, who has claimed that Microsoft has dominated the Netbook market. Thankfully, Chris Kenyon of Canonical Steven J. Vaughan-Nichols of ComputerWorld and others have helped to expose the FUD here. Based on the assumption that simple tasks are indeed the focus, I find myself questioning why the default interface on, say, the Eee PC is found to be so insufficient by so many people. To me, the simple interface is part of the netbook’s charm. I guess it boils down to personal preference and what you want the machine to do for you. Maybe most people don’t do simple things anymore. Maybe the computer-literati have finally succumbed to unhealthy levels of multitasking, possibly resulting in cases of chronic distraction. Maybe, in the future, the finger movements associated with the Control-Tab motion will become an innate reflex. I posted just over a year ago that my favorite text editor, UltraEdit, was going to be ported to Linux. In the last month or so, I discovered that alpha testing was already underway and that beta testing would soon start for Ubuntu users. Here are the links to the development updates for March and April. I was cleaning out some old e-mails this morning when I came across a link to an article I had saved last November. Katherine Noyes of LinuxInsider reported the release of 64-bit Adobe Flash for Linux. In her article, she cites a post by blogger Julian Saraceni titled “Stop pirating Adobe Software, Use Free Software Instead”. Both are quick reads and I recommend them. Commercial software can be expensive, but in my experience, the old adage “you get what you pay for” holds true more often than not. As you might expect me to say, the price of software is driven not only by what people want to pay, but also by what authors are willing to charge. The cost of developing, testing and maintaining software must be recouped and an adequate profit margin added on top of that to keep software companies interested. That’s an economic reality. Many people feel that software prices in general are unreasonably high. I’ve found that the justification for this belief is usually relative to the specific person’s financial situation at the time, but in many cases I agree that software is overpriced with respect to what you get for your money. Really good software is worth every penny. The perception that software prices are not fair is one of the main reasons people commit piracy. Piracy does have serious, far-reaching consequences. The most direct economic effect is felt by the authors and sellers, but economic imbalance has a way of rippling through an entire economy, through the product and labor markets in many sectors – the problem is not isolated. As piracy becomes more acceptable, a skewed sense of property rights develops. Society’s standards change and the peoples’ sense of right and wrong dulls. Theft, of which piracy is just one type, is more easily justified and thus, committed more frequently and even casually. Respect for the rights of others, and therefore respect for others themselves, is abandoned and the social contract decays. OK, I’ll get off my soapbox now. Where’s the FUD? “Everyone” knows that the Linux community was started by a “bunch of hackers” and the negative connotation that accompanies that statement is well-understood. “You Linux people want everything for free!” This perception unjustly deposits the Linux community in the same class as pirates. I occasionally come across the accusation that Linux egregiously promotes piracy, though this is most often made in the context of copyright violations in the entertainment industry. The truth is, (intellectually) Free Software is available to those who disagree with the concept and/or laws of intellectual property. Usually, Free Software is also (gratis) free or low-cost software, because intellectual protection is often what permits software price gouging. The authors are usually the first users of a Free software package, so overall quality is generally higher than one might expect. As expressed in the articles above, the availability of Free Software should reduce or eliminate the perceived “need” for piracy. Free Software is not limited to the Linux platform, but the Linux community supports and fosters this mentality explicitly. Since the announcement that Best Buy started carrying the ASUS Eee PC 900A in their stores at a new US$299 price point (down to US$280 just yesterday), I’ve been keeping my eye on the market’s reaction. Whilst researching, I ran across several interesting posts that tie into the “Linux will void my warranty” FUD pattern. Apparently, there have been two concerns over the warranty for this line of netbooks. 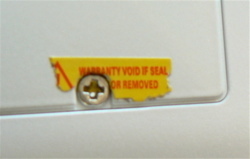 The first has to do with a sticker that appeared on the bottom of some units indicating that opening the unit will void the warranty. This is unthinkable – even a simple RAM upgrade, which many folks do immediately upon purchasing an Eee PC, requires opening the access panel on the bottom. Indeed, ASUS agrees and has publically clarified that this is not the case. The second concern, and one that I find more interesting with respect to the FUD pattern, is that ASUS will only support the default Xandros flavor of Linux. Reportedly, “Asus is not responsible for software misconfiguration, such as troubleshooting an alternative operating system.” It does not state that running another Linux flavor or MS Windows will void the warranty (in fact, the posting makes that explicitly clear), but it does show that ASUS is limited in the service they can provide if the OS is replaced. This is not much different than what HP’s warranty conditions state.